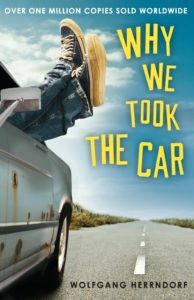 Why We Took the Car seems to have established a fixed place in the German YA firmament since its initial publication as Tschick in 2010. Young people read it on their own, they read it for class, and it’s part of the general culture. There was a movie in 2016. It has also done well outside of Germany, with Wikipedia noting the novel has been published in 25 different countries. It’s easy to see why. The book tells the tale of Mike Klingenberg, whose wealthy but dysfunctional family is blowing up around him, and what happens at the end of eighth grade when the girl he has had a crush on all year utterly fails to notice him, and summer vacation opens up with his parents absent. Enter Tschick, Andrej Tschichatschow, a Russian immigrant who joined the class mid-year, scandalized people by occasionally showing up to school drunk, and alternated between brilliant and surly. Why We Took the Car opens with Mike bleeding in a police station, apparently missing a large chunk of his calf. In the first three short chapters, Herrndorf establishes that Mike may be criminally responsible for something major, that the police should have turned him over to the doctors much sooner, and that he was trying to get to Wallachia. The rest of the book fills in how Mike came to be in precisely that state. There are some funny bits about school, establishing Mike as an outsider whom everyone thinks is boring. He’s an engaging narrator, with a tendency — a very German tendency, actually — to talk about things plainly when clearly many people would prefer to ignore them or at least use euphemisms. He’s spent months handcrafting a gift designed to please his secret crush, but he winds up not getting an invitation to her birthday party that’s held just after school lets out for the summer. As school ends, Mike is left on his own: his mother is back in rehab for another stint to do something about her alcoholism, and his father, a real estate developer, embarks on a business trip with his perky assistant. After a day of bouncing off the walls, Mike is surprised when Tschick shows up on a ratty, barely functional bicycle. Tschick invites himself in, and Mike starts to enjoy the company of a boy he had previously found odd and off-putting. Surprise about the bicycle is as nothing to the next day when Tschick, who like Mike is 14, shows up in a rattletrap Lada that he has hot-wired and driven over. Tschick says he and his brother do it all the time. They should crash the birthday party, or at least show up long enough for Mike to deliver his present. Mike gets over his initial embarrassment, and they do exactly that, leaving the assembled class a bit slack-jawed that they are driving despite being four years under the legal age for a driver’s license. Tschick’s bootlegger reverse on departing only adds to the effect. With that behind them, the two of them decide on an even more foolish idea: road trip. Tschick says he has relatives in Wallachia; Mike says no such place. Wikipedia convinces him otherwise, and the next morning they are off, with all the planning skills of two fourteen-year-olds. They leave their phones at home — “so the bastards can’t find us” — and soon discover they’re traveling without an atlas, and have only the vaguest notion of how to head toward where they want to go. They also start out avoiding major roads. Though they occasionally wind up on the autobahn, where the Lada is poorly equipped to keep up, they mostly stick to country lanes. These have a habit of petering out into fields or, on one memorable occasion, a rickety wooden bridge across a giant abandoned strip mine. Weird things happen, not least because the two of them can’t admit to anyone that they are actually driving because (a) the car is technically stolen and (b) they are far too young to be driving anyway. They sleep in fields, meet a girl in a dump who teaches them how to siphon gas from other cars. She seems completely bonkers, but they can’t get rid of her, and she says she’s going to visit a half-sister in Prague, which is at least on the way to Wallachia. In due course, though, she ditches them and gets on a bus, saying the boys are never going to get where they are going. She’s right. It’s a fun, slightly nutty adventure. The guys encounter peculiar people, and muddle through. They become closer friends than they expect, and then they wind up in a heap of trouble. 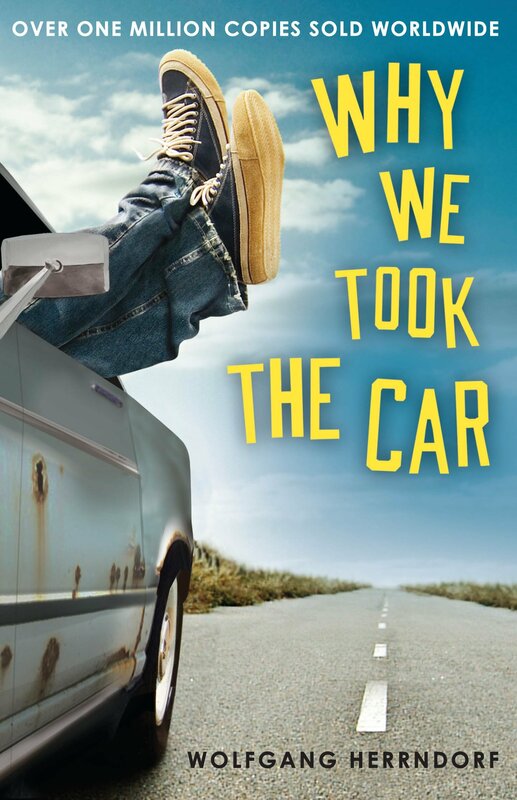 In the end, they have to tell the judge why they took the car.